Another day, another social media beef. This one comes between two different generations as Young Dolph and Pete Rock spar on the Internet. The OG reposted a video of a listening session for Young Dolph’s recent project, where the song is playing with children around. Young Dolph found his own way into the comments section to address the haters. “I don’t know u, and u odon’t know me aparently… But u lame as fuk bra,” he writes. The self-proclaimed King of Memphis then went on his own Twitter page to send a message to the “Juicy” producer. 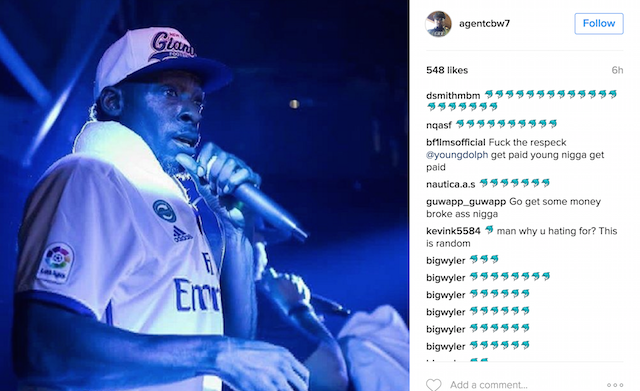 Meanwhile, Young Dolph fans are blowing up Pete Rock’s IG comments with dolphin emojis. This isn’t the lone incident where Pete Rock has been critical of the new generation of rappers. Earlier this week, he posted this video of Lil Yachty freestyling. 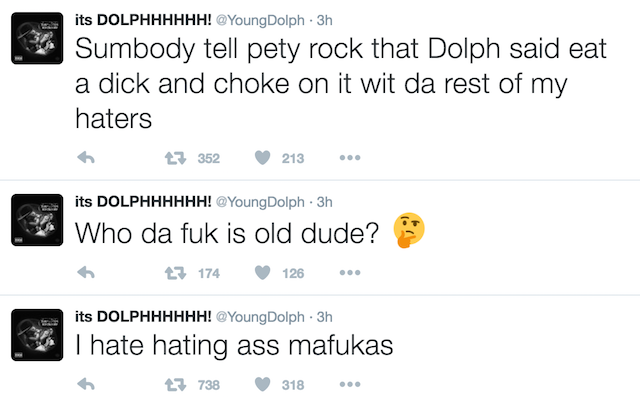 Share the post "Young Dolph & Pete Rock Spar On Social Media"